The Clifton Hill blog has a nice write-up about a photographer from Holland who came and visited, along with some links to some great pictures. Check it out! A few weeks ago we were contacted by professional photographer Ken Cranney, who recently visited Niagara Falls with his wife Ina and son Riley. They traveled all the way from Holland and met up with some close friends, who drove in from New Jersey. Ken is actually a Canadian living in Holland while his wife and son are Dutch. They all converged on Clifton Hill’s World Famous Street of Fun by the Falls to kick off a fun filled weekend! to more than 2,000 pregnancies – so proceed with caution! Niagara Falls, ON. – (August 4, 2010) – Ripley’s Believe It or Not! 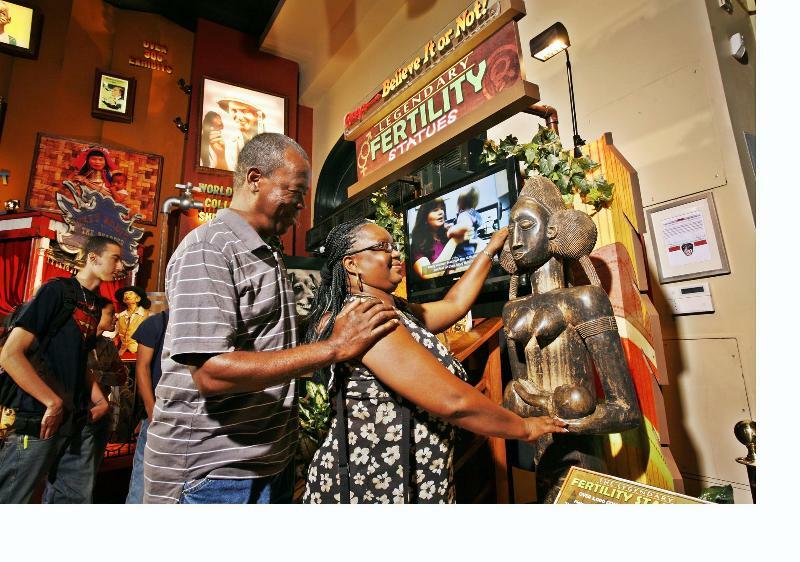 Odditorium in Niagara Falls will host the return of the world-famous Ripley’s Fertility Statues for public viewing from September 4 to September 26. Please Don’t Touch – Unless You Want a Baby! More than 2,000 wo men have reported that they became pregnant shortly after touching the wooden statues. Many of them had been told by doctors they would never be able to conceive. Some are very serious about touching the statues, believing in their powers to help them conceive. Others want to avoid touching the statues – for the very same reason! 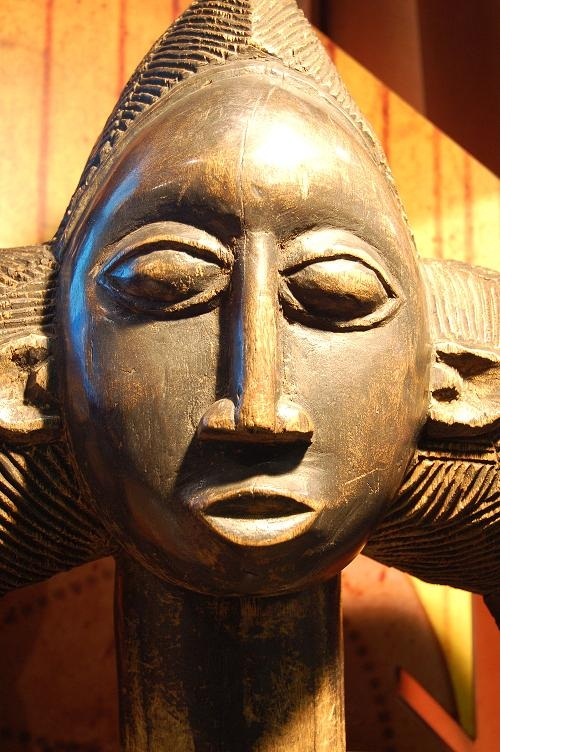 The five-foot tall wooden statues were acquired from the Ivory Coast of West Africa in 1993 and were placed in the lobby of Ripley Entertainment’s corporate headquarters in Orlando. Within months, 13 women, including staffers and office visitors, were pregnant. Following a December 1995 story in the Wall Street Journal chronicling the phenomenon, the demand to touch them became international news. In the ensuing years, the edifices made three trips around the world. They were retired to the Ripley warehouse in 2001, but due to great demand, they were put on display at the Ripley headquarters in Orlando, where women routinely made special visits just to see and touch the statues. “For years, we were inundated with requests to make these statues available once again, so we’ve brought them out of retirement and they are proving to be very popular during this world tour,” said Edward Meyer, VP of Archives & Exhibits for Ripley Entertainment. The statues are back in the U.S. after wrapping up the European leg of their three-year world tour. They have been seen by thousands of people during crowd-pleasing stops at the Ripley’s Believe It or Not! museums in New York’s Times Square, Grand Prairie, Texas, Williamsburg, Virginia, Orlando, Florida, Myrtle Beach, South Carolina, Wisconsin Dells, Wisconsin, San Francisco, California, London, Blackpool, England, St. Augustine, Florida, Newport, Oregon, San Antonio, Texas, Branson, Missouri, Atlantic City, New Jersey, Ocean City, Maryland and Gatlinburg, Tennessee. After Niagara Falls, the statues’ final stop will be in Panama City, Florida from October 4 – October 25. To set up an interview with a mother who touched the statues and became pregnant, contact Tim O’Brien at obrien@ripleys.com. For more information, including high resolution images and video, please visit www.ripleysnewsroom.com. Ripley Entertainment Inc. (www.ripleys.com), keepers of the venerable Ripley’s Believe It or Not! brand, is a global leader in location-based entertainment, entertaining more than 13 million annually at its 80 attractions in 11 countries. In addition to its 31 Believe It or Not!Odditoriums, the Orlando, Florida-based company has publishing, licensing and broadcast divisions, best-selling books and the popular syndicated cartoon strip, Ripley’s Believe It or Not!, that still runs daily in 42 countries. Ripley Entertainment is a Jim Pattison Company, the third-largest privately held company in Canada. My grandchildren Nicole and Chris Boschetti are seen holding the Travel section on the Canadian side of Niagara Falls. My daughter Barbara and I accompanied the grandchildren on a three-day stay in Ontario. Tip: We recommend staying in the area at the Clifton Hill section, as there are so many activities there. Also, don’t miss the observation deck of the Skyline Tower.